University of abuja as at today is ranked one of the top ten universities in Nigeria,established in 1992 the university runs 3 programs which are the normal degree program, diploma program and post graduate programs. Main campus located at Abuja-Abuja road. Before you chose the university of Abuja as your choice of study while registering for the 2019/2020 JAMB exams, my humble advice to thousands of candidates ever since is for them to quickly do a background check on the tuition fees, acceptance fee and hostel accommodation fees. All this is very important because it won’t be a nice idea if you take your sponsors at unaware. It’s best you let them know what (estimate) they will likely spend . 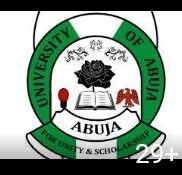 3 UNIABUJA acceptance fee 2019/2020. 5 Things to note about Nigerian universities fees. The fees below is what all newly admitted 100 level students have to pay. If you go through the list carefully you will discover that there are other minor fees like insurance, access portal, development fee etc, they are much and if sum up they outweighs the acceptance fee. My advice to all 100 level students of the university of Abuja is for them to hurriedly pay all this fee so that their studies won’t be disrupted. If you are one of those student who want to study in the university of Abuja or just recently gain admission you will discover that the first thing that the management of the institution will require from you is your acceptance fee. Honestly most universities value this acceptance fee than the regular fees. Now what is the university of Abuja acceptance fee? This is the burning question in the mind of every student that just got their long awaited admission. Well with out waisting time the acceptance fee is just 10,000. Hostel accommodation plays an important role in the life of every student. Walk up to the school students affairs unit to find out more on that. Things to note about Nigerian universities fees. Late payments will always attract extra charges. There are other minor fees to be paid.